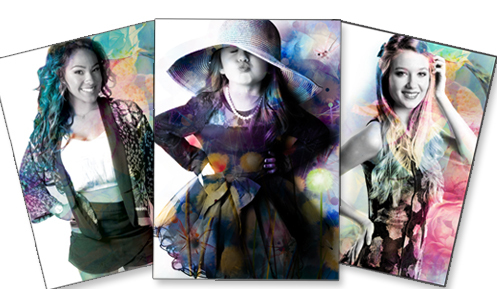 Bloom Custom Prints are a new addition to Glamour Shots® line of artistically edited portraits. By adding a creative spin on traditional portraits, these are truly unique blooming designs that you will cherish for many years to come. Our graphic artists personally design each print to oversee proper placement of the blooms. Bloom portraits are printed on nearly all products. Call your nearest Glamour Shots® photo studio to ask about Bloom Custom Prints today!